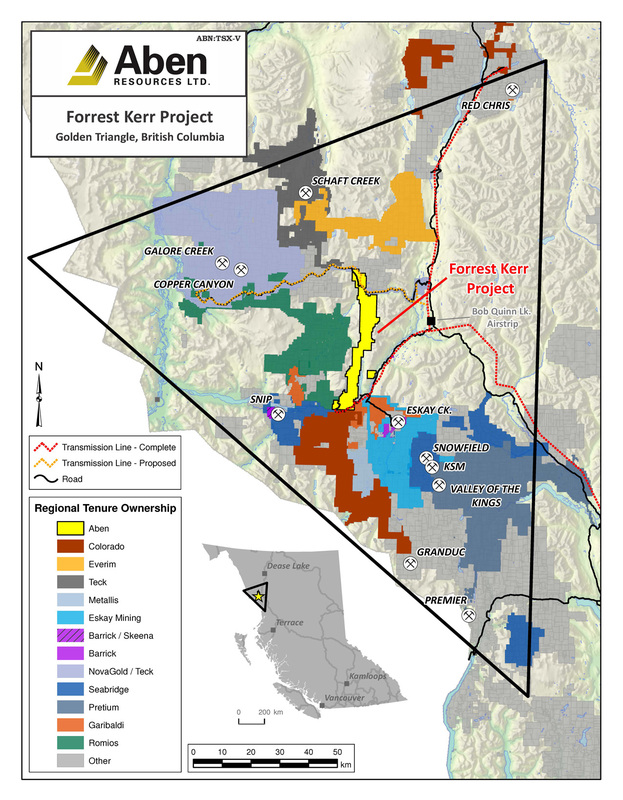 VANCOUVER, British Columbia, May 29, 2018 (GLOBE NEWSWIRE) -- Aben Resources Ltd. (TSXV:ABN) (OTCQB:ABNAF) (Frankfurt:E2L2) ("Aben" or the "Company") is pleased to announce that the Company has commenced trading on the United States OTCQB Marketplace. Aben Resources common shares commenced quotation on the OTCQB Venture Marketplace under the symbol ABNAF, effective at the market open on May 29th, 2018. Aben`s common shares are also quoted on the TSX Venture Exchange and the Frankfurt Exchange. OTC Markets Group Inc., located in New York, N.Y., operates the world`s largest electronic interdealer quotation system for broker dealers to trade over 10,000 securities not listed on any other United States stock exchange. North American and international investors can now trade and find news, current financial disclosure, and real-time level 2 quotes for Aben Resources at the OTC website. Jim Pettit, Aben Resources CEO stated: "The OTCQB listing gives our shareholders another avenue for trading, which is particularly useful for those living in the United States. It should also benefit Aben by broadening our access to capital for our projects." Aben Resources has approx. 78.8 million shares issued and outstanding.